Dolly M and Eboo had a fun iFamily Choir excursion. 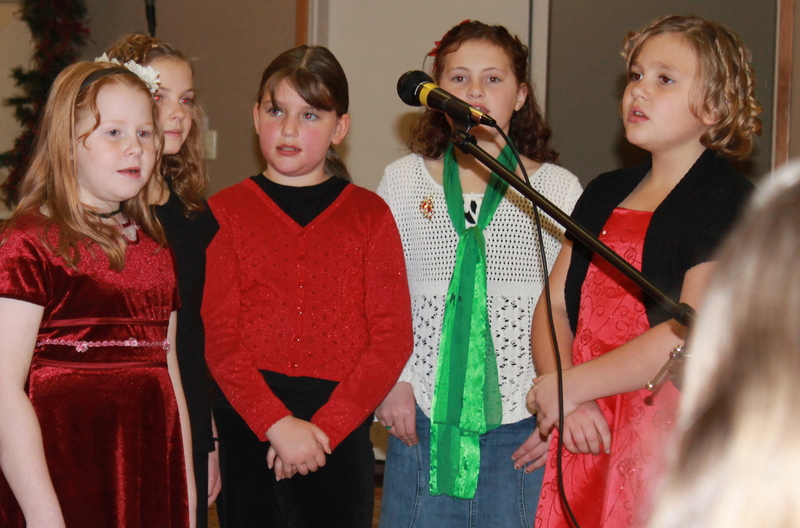 They sang at the annual Festival of Trees. With festive reds and blacks, and of course cute smiles (Hi Eboo! 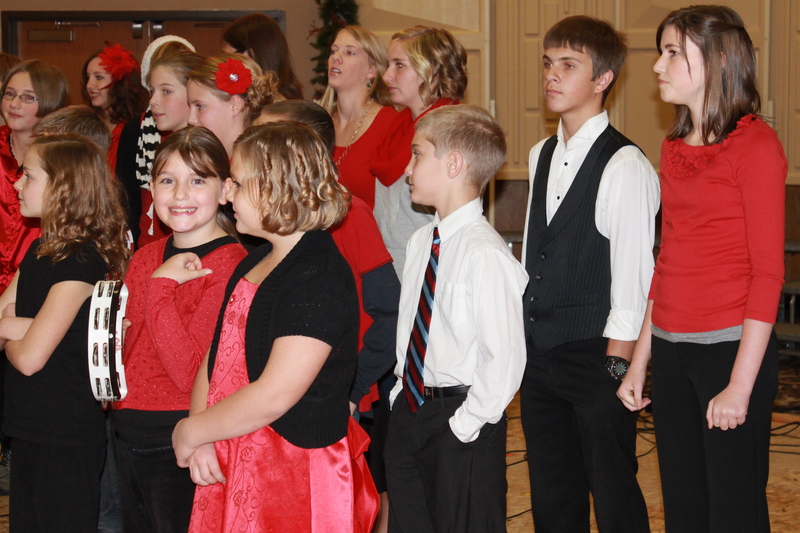 ), they sang their hearts out and sounded great. But I’m just a little baffled at how it could be the holidays already. I think I’m still stuck in September. 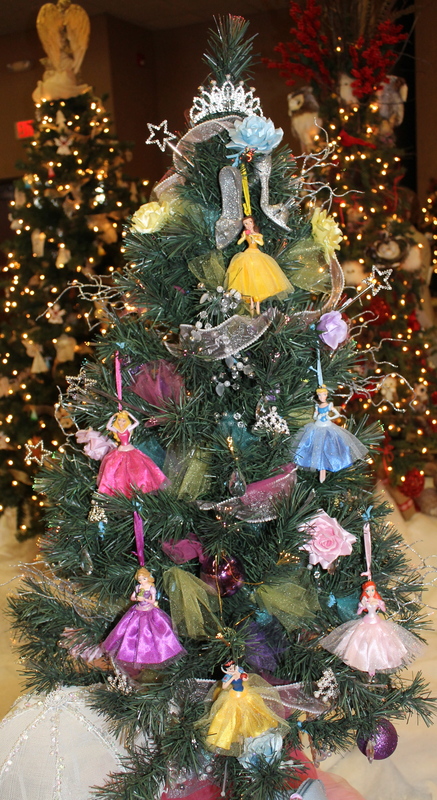 Any whoo, I walked around the forest of Christmas trees and snapped a few pictures of my favorites. 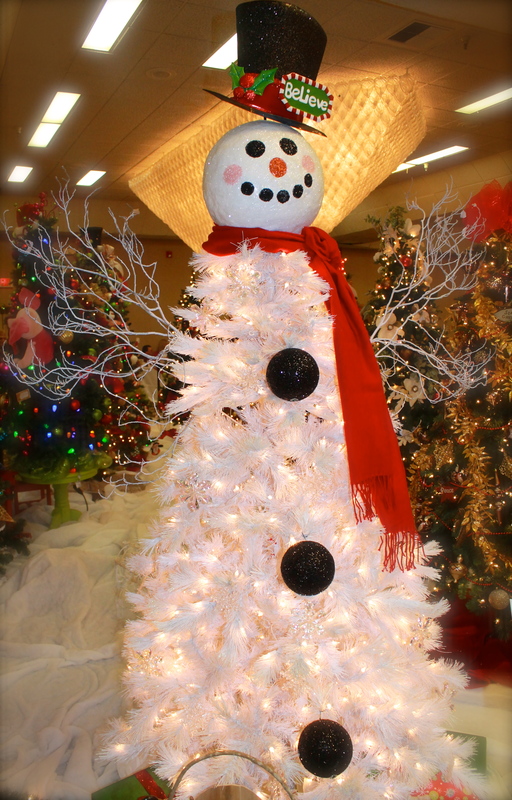 This tree was delightfully different and unique…just a snow man. 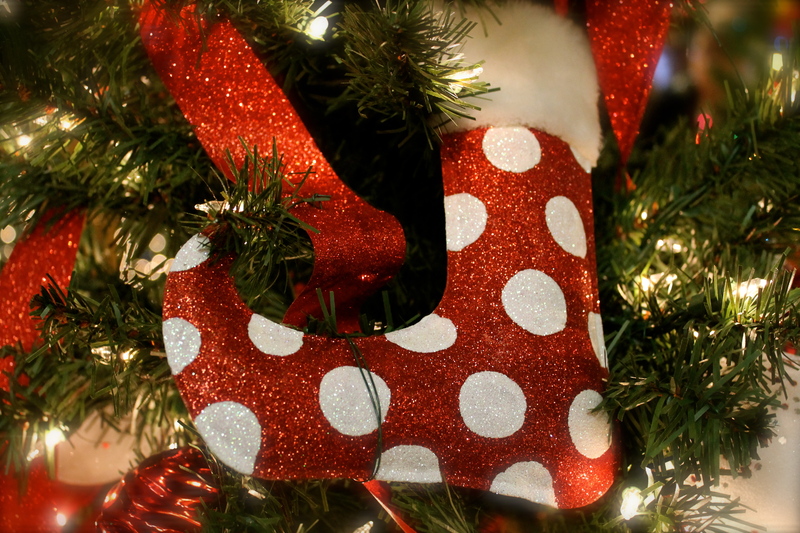 Reds and whites are SOO my favorite Christmas colors. 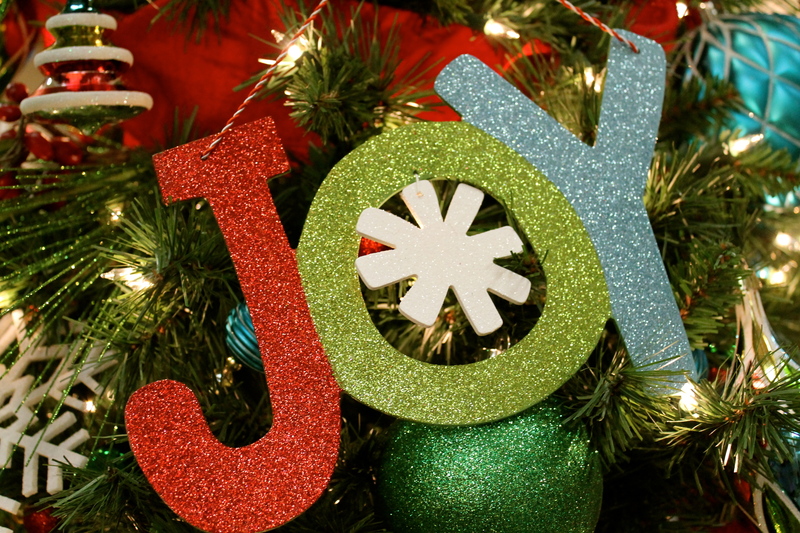 I think I feel the Christmas mood coming on. Eboo drooled over this princess tree. The tiara on the top, so cute! And even though I had to take my eyes and attention off the girls during their performance to get this photo of JuBean, it was so WORTH it. 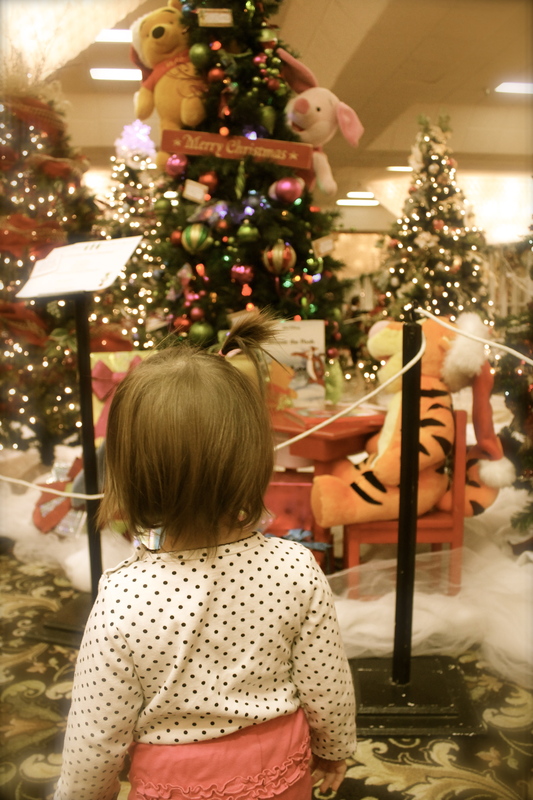 She kept coming back to this “Winnie the Pooh” tree over and over and over. 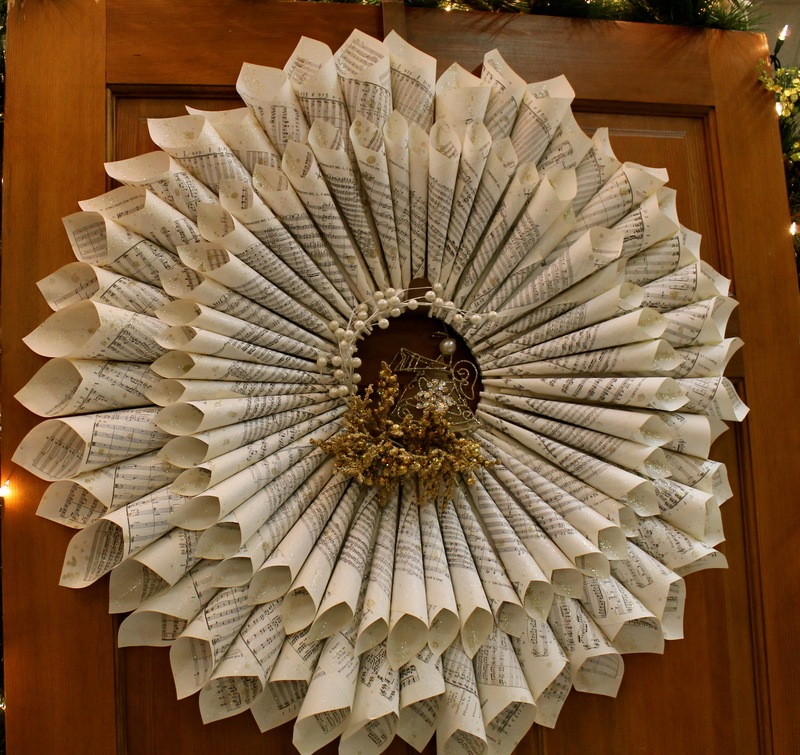 I should make a wreath like this one since I have so many sheets of music laying around at home. 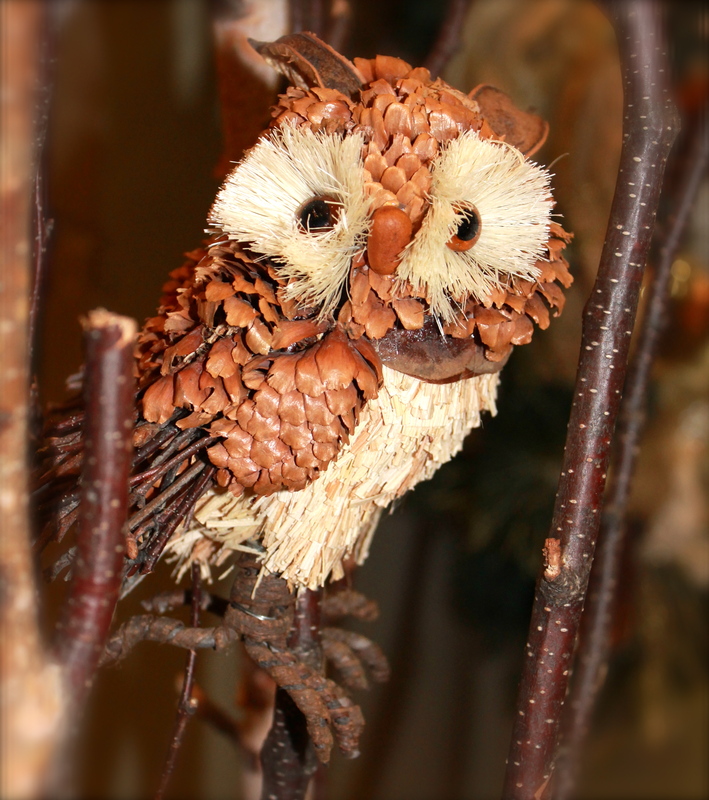 I loved this pinecone owl. Can you see my reflection? Ooops. Photography 101 no no. 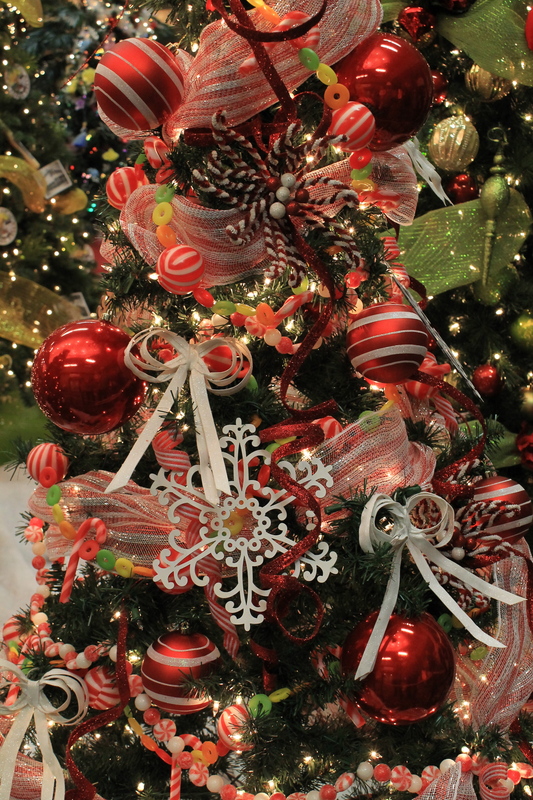 Another red & white tree–love it! 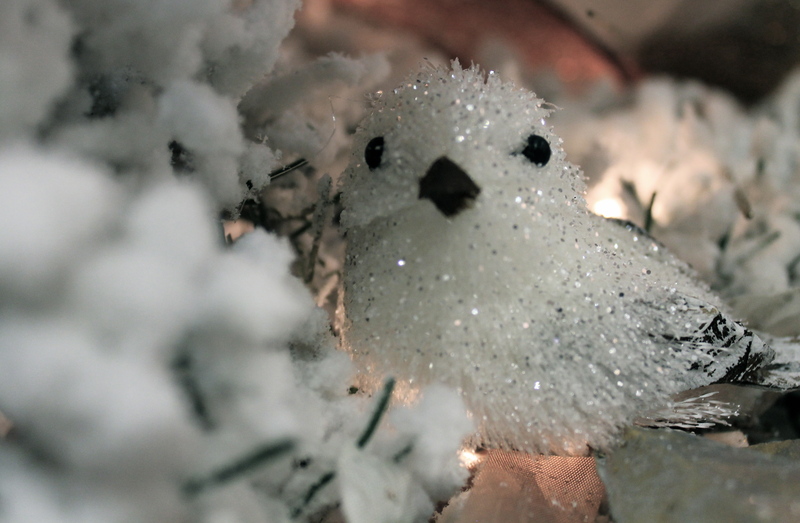 This ice bird looks so real. 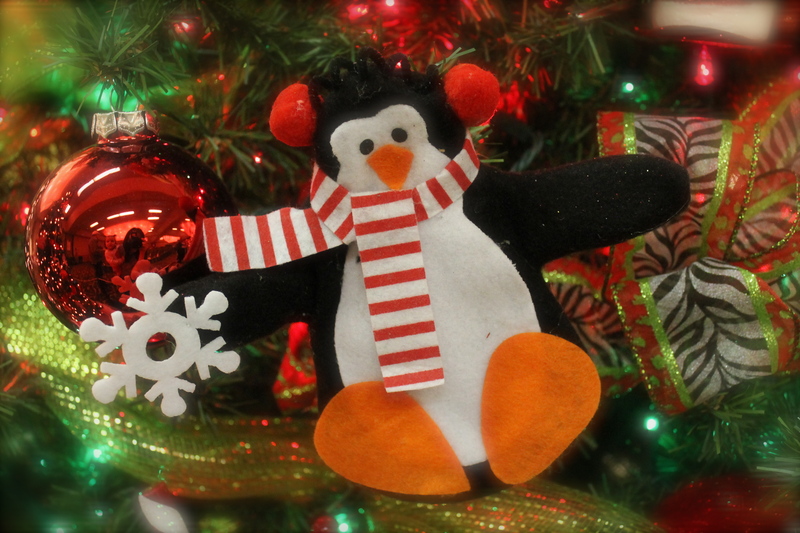 JuBean liked this penguin, she kept pointing at it. 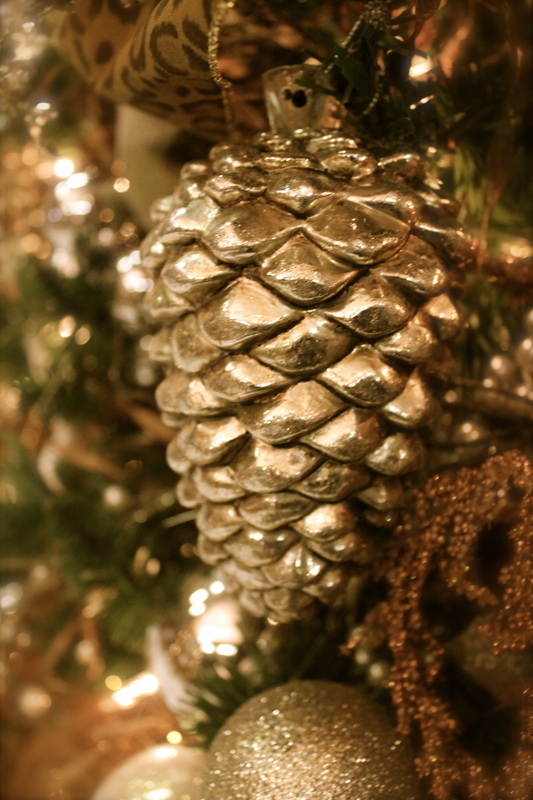 I REALLY enjoyed this elegant tree with gold pinecones and brown colors. 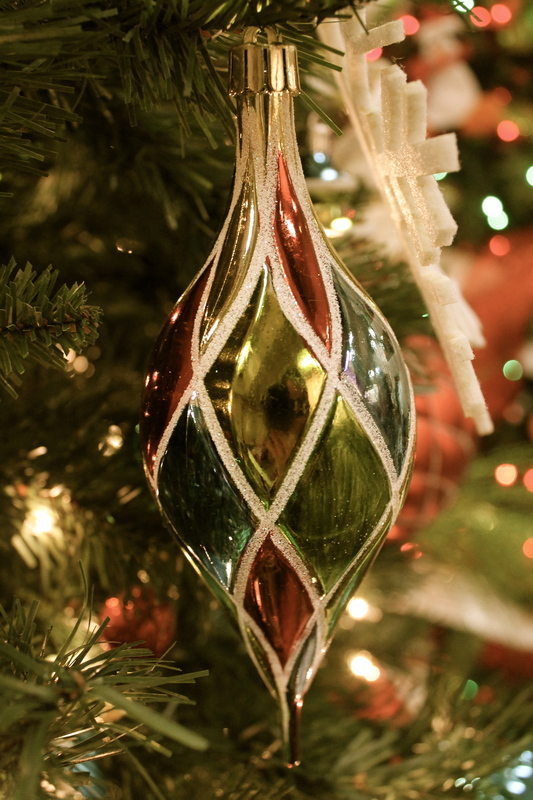 It reminded me of the Christmas song “Silver and Gold”. 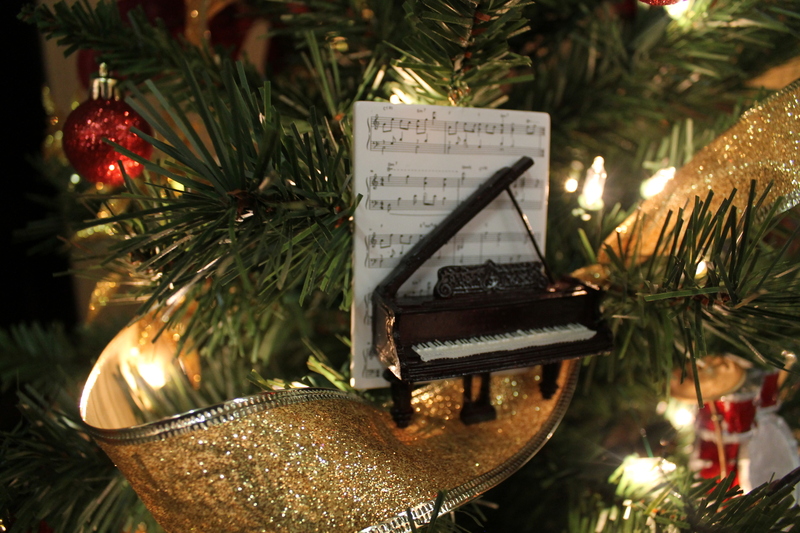 Couldn’t help but get a shot of my favorite instrument…the lovely baby grand. 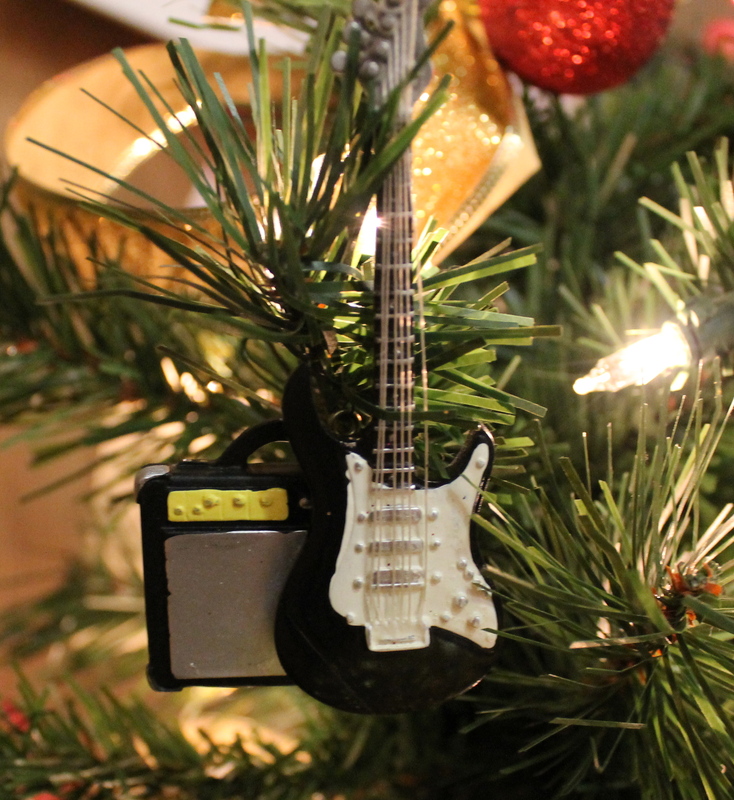 And this guitar is for my two big sons that play these cool cat (and loud) instruments. 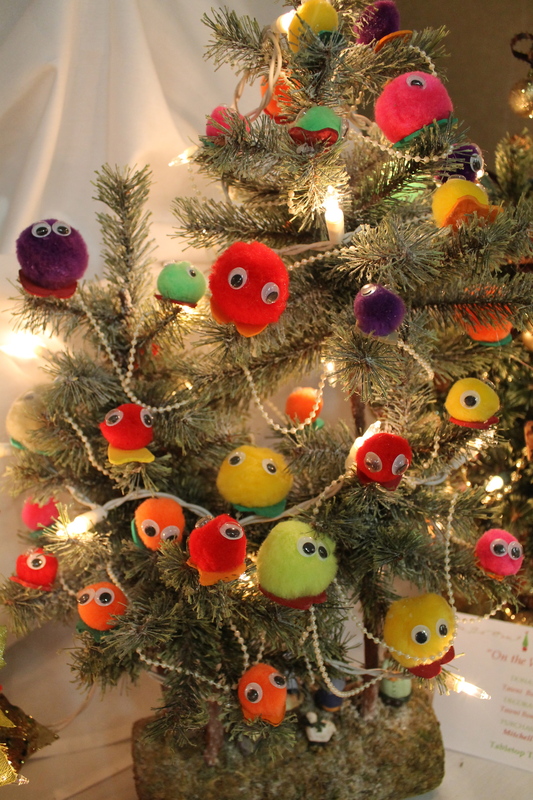 Fun, fun was our afternoon frolicking in the forest of Christmas trees. I do think today I became a little more in the mood for it.